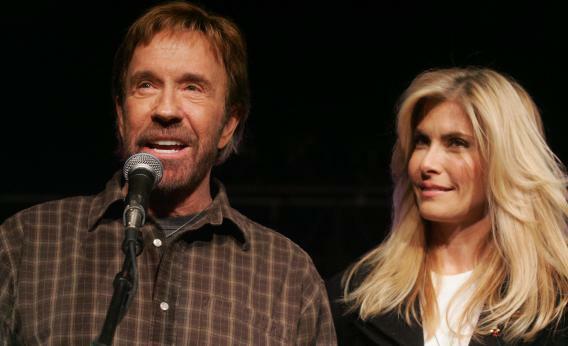 US Actor Chuck Norris and his wife, Gena O’Kelley, speak during a ‘Huck and Chuck’ rally for Republican Presidential hopeful and former Arkansas Governor Mike Huckabee at the Val Air Ballroom in Des Moines, Iowa, 01 January 2008. Charles Barron lost in Brooklyn’s congressional primary yesterday not because of his stance on Israel or his lack of money, but because he’s just not a very good politician. Despite a concerted effort by the Romney campaign, the Washington Post will not retract its Bain Capital outsourcing story. You can’t blame the Romney campaign for trying: the Bain attacks are clearly working. Kids, the elderly, and minorities will be those most affected if the Supreme Court tosses out the Affordable Care Act tomorrow. The Congressional Black Caucus will walk off the House floor tomorrow to protest the contempt votes against Attorney General Eric Holder. And Chuck Norris is accusing the Obama White House of conducting a behind-the-scenes campaign to bring gays and lesbians into the Boy Scouts.